The last couple of weeks I have been travelling back in time to a place called childhood. I have been remembering the carefree feelings that were so natural; riding my bike through town singing at the top of my lungs (okay, I still do that in the car), hoola hooping in the front yard, turning cartwheels in the back, roller skating over bumpy sidewalks, and holding pretend tea parties with my dolls. 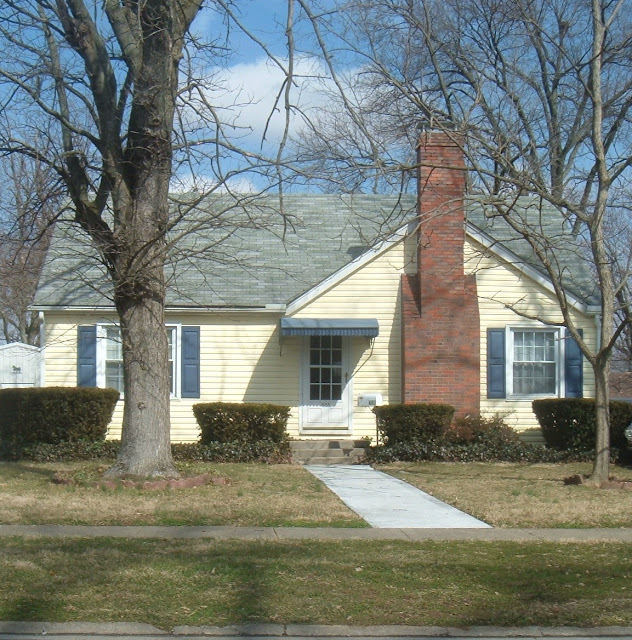 The first nine years of my life were spent in this small house in Kentucky. It was a place of innocence. I didn't know that we didn't have much money or mind that my clothes were hand me downs. I didn't often think about what was going to happen months down the road or even the next week. I knew that I had a family, a warm home, and food on the table. I am not naive enough to believe that as an adult I can get back to that place of innocence. Innocence lost is an inevitable part of life, but I believe that it is focusing on those simple things that brings us happiness. 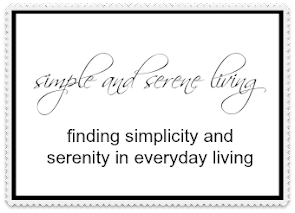 Each day I take time to do something simple. It may be singing in the car, or walking around my neighborhood, or just drinking a cup of hot chocolate. When I find myself worrying about the future, I take a step back and focus on the current moment, because the reality is that we only have the current moment. I hope you will take time to remember the simple things in life, the things that brought you happiness in the past and can bring you moments of simple happiness again. Today is a very special day. Eleven years ago my sweet grandson, JH was born. I didn't have any sons and didn't know much about little boys. I quickly learned just how wonderful they are. This is a picture that was taken six years ago. Look how little he and his sister were. This was taken seven months ago. He is now at an age where he is starting to lose that wonderful innocence. When I talked to him a few days ago I asked him if he is as tall as me now and he said that he probably is. It won't be long before I am reaching up to hug him. So a big Happy Birthday, Bub!!!! Hold on to that innocence as long as you can. Oh gosh they grow up so fast! Enjoy each moment, I know I am trying. Yes this is the season for innocence and going back to our childhood memories! They grow up way too fast, Linda. I can remember him so well when he was Tiger's age. The birthday boy is very cute...ALL boy! And I love seeing photos of you and your family. I raised 4 sons...that's all I know about! Sweet hugs! I love this post and they do grow up so fast. Isn't it something how time flies. Tell the birthday boy we all said Happy Blessed Birthday !!! I agree with your post on pursuing the simple things. I have been on that journey for awhile now and it seems that life is so much more peaceful. I bought a bike about 1 year ago and I love it. I love it when I can go down to the sea wall and ride. I love this time of year because Its quiet and all you hear is the ocean. Cool out but so peaceful. I too sing in my car SHHHH lol and hey they all watch me driving by. I love this post and all that is about. HUGS and blessings my friend and birthday blessings to your grandson. Everything has become so materialistic and fast paced. It is easier to live the simple life. Great post! Happy Birthday to your grandson. I love your childhood memories - they are so similar to mine. Great, great post! It's so neat that you have a picture of your childhood home. Things were so much more simple back then and with the technology we have today (and I do appreciate it), I think we all, even our children, will have to dig back into our treasure of memories to get those simple feelings back when we need them. Happy Birthday to your grandson! You have a beautiful family and your daughter has your smile! Wishing a very happy birthday to your grandson! I can see echos of your face in all of your family...how beautiful that is. Happy B day to him. We apparently grew up without many material things too....as did my husband, days I will never regret. Not having everything given to us as children isn't the worst thing in the world. Some great words of wisdom: I'm going to enjoy a hot cup of tea!